is born, and we bestow Our Patriarchal blessing. world of Christ the Savior: “A son will be born and you will call his name Jesus. and know the truth “and the truth will set us free” (John 8:32). 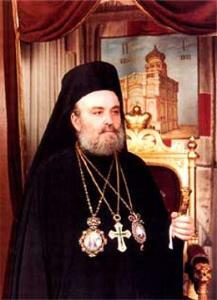 the respectable and historical Patriarchate of Jerusalem who don’t follow the way of the star of Bethlehem. humility, and repentance, to the glory of Christ the Born King, and the annihilation of evil.